The Spring term ended with the traditional Easter activity of egg rolling. 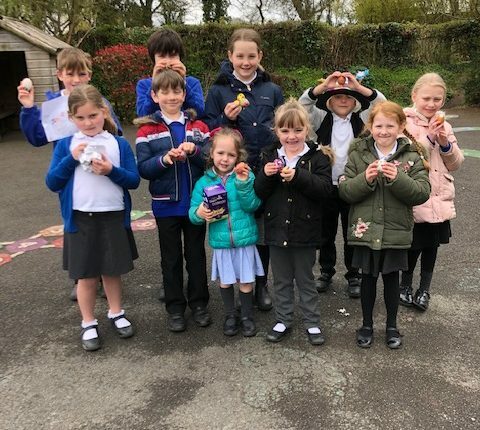 The children brought in decorated eggs which were then rolled down the playground. Those going the furthest distance were judged the winners. Heats took place for each year group with a final of the seven year group winners. The overall winner was Annie in reception. The year group winners were Bethany in Y1, Zak in Y2, Finley in Y3, Ashleigh in Y4, James in Y5 and Alex in Y6. The winners of the decorated eggs competition were: Libby in Teddy, Olivia in Panda and Cora May in Koala.